Kitale, Kenya has been a hive of activity this summer. We have built 4 more children's classrooms and building a barn to store the harvest of Maize in November. Love Mercy now owns and frams 50 acres of land to fulfill our mandate to share our food with the hungry. We sell 50% of our crops and give 50% to 100's of widows and orphans. Love Mercy's latest project is building new houses for 28 widows. We are building one house a month. This past week we finished our 6th house. We build 3 rooms 15 feet by 15 feet with a lean-to structure for a kitchen. When the house is finished we give the widows a new queen size bed, a mattress and a new blanket. This has proved to be an excellent project and has changed an entire village. We clothe, house and feed 100's of widows and their children every month. We have drilled over 200 deep water wells giving a cool, clean drink to thousands of people. 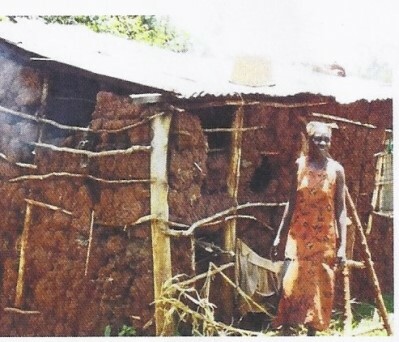 we invite you to be a part of building the next 22 houses for our needy widows. "The Christian who is pure and without fault from God the Father's point of view is the one who takes care of orphans and widows." "God is defender of widows and orphans in his dwelling place" "God has chosen poor people to be rich in faith and the Kingdom of Heaven is theirs." God Bless you abundantly as you consider giving to this worthy cause. 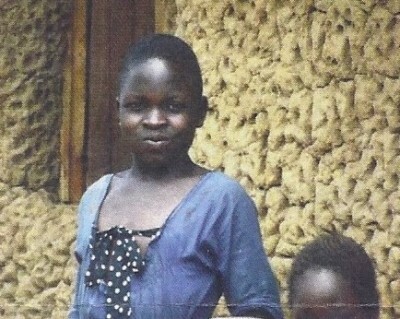 One of our many orphans that we clothe, house, feed and educate.